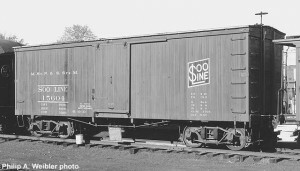 Soo Line #15604 wooden boxcar, date unknown. At North Freedom. Philip A. Weibler photo. This 36 foot long box car is an excellent example of late 19th century freight car construction. #15604 was built by the Wells & French Car Co., Chicago, and delivered to the Soo Line in 1897. There were 500 cars in the order and they were numbered 15000-15988 in even numbers only. The 30-ton capacity seems small by today’s standards but in 1897 it equated to 30 horse-drawn freight wagons. These types of cars carried all the goods that required some degree of protection from the weather. 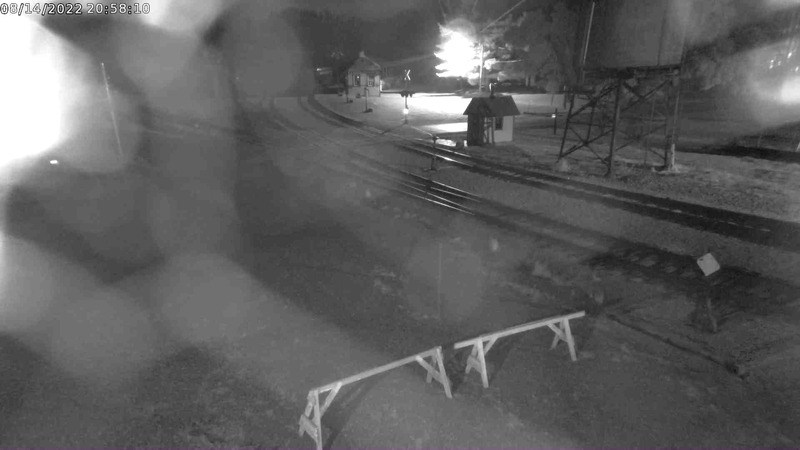 The cars initially saw much use in hauling grain and lumber while in later years they were relegated to hauling coal, lime and hides. Around 1917, the Soo Line strengthened the car end walls by adding some structural steel bracing. This is believed to be the only modification ever made to the box car during its life. 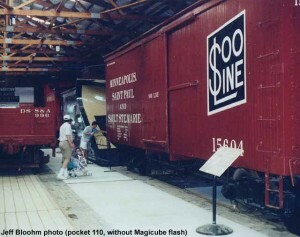 When the Soo Line retired #15604 from revenue service at an unknown date, it was acquired by the Goodman Lumber Co. for in-plant use at its Goodman, Wisconsin facilities. The car was renumbered #206 while in Goodman Lumber service. The Goodman Division, Calumet & Hecla, Inc.. donated the car to Mid-Continent in 1966. The car was restored in 1967 and returned to its original Soo Line number. The present lettering scheme, applied during a further restoration in 1984, was that used by the Soo Line before its World War I era strengthening rebuild. 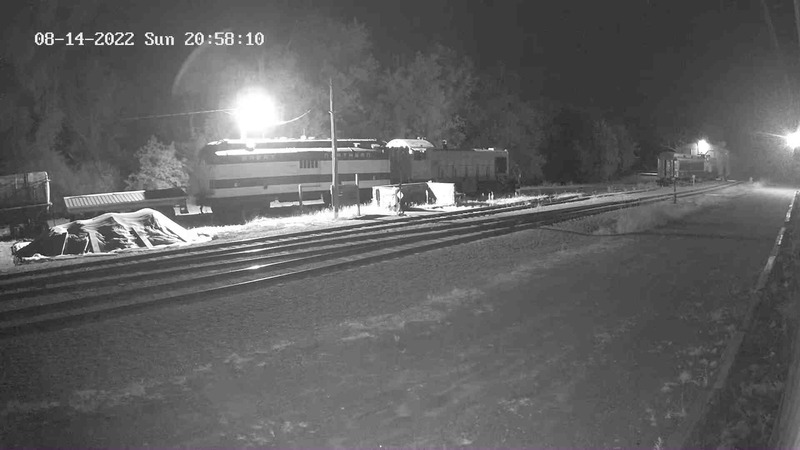 #15604 was featured during the Soo Line Historical & Technical Society’s convention held at North Freedom in 1987. Since then, the car has been on display inside the museum’s Coach Shed. The Wells & French Car Co. traces its beginnings to the Wells, French & Co. bridge builders of Chicago, Illinois. In 1871 they decided to open a car building works and employed Charles F. Scoville as superintendent of the plant. The car works was located on Wood St. south of Blue Island Ave. in what is commonly referred to as the lumber district of Chicago. The south end of the plant was located on the south branch of the Chicago River where lumber could easily be received from the great lakes lumber schooners. In 1899 through merger, the plant became part of the American Car and Foundry Co. The plant continued railroad car production through WWII and was closed shortly after the end of the war.